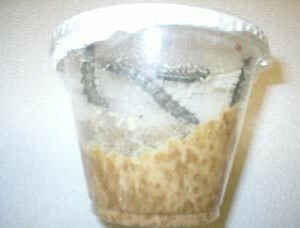 Includes 5 butterfly larvae, larvae food, and instructions. Priority mail shipping. SKU: llr. Category: Butterfly Kits. Tags: Butterfly Kit, Painted Ladies. 5 – Painted Lady Butterfly Larvae. butterfly larvae, larvae food, and instructions.